It takes more than compatible products or shared interests to create successful business collaboration, says Mr. Loadlink. Have you seen dating site eHarmony’s advertisement campaign about flaws in competitors’ matchmaking processes? In essence, the message suggests that just because singletons are the same age and like some of the same things it doesn’t mean they’re destined for a lifetime of happiness together. The ads explain how eHarmony’s multiple measures of compatibility make it a more sophisticated dating platform to alternatives. It’s clever advertising and, moreover, they use great humour to make the point. Take Geoff, for example: he’s not using eHarmony and is seen sitting on his sofa with a camel because both like long walks on the beach. Then there’s Steve who has been partnered with a fellow vegetarian—a tortoise. The measures of compatibility selling point struck a chord with me, given its relevance to partnerships in the business world, where only a complete DNA match leads to fruitful exploration of avenues of mutual opportunity. As I’ve blogged about before, I’m a big believer in collaboration and the theory of abundance, but that doesn’t mean anyone with a broadly similar product or customer base can snuggle up together. I’d rather work with a camel than some business leaders out there who represent companies that, at first glance, have synergies with my own. I’ll stop short of using the obvious camel-related reference of how they’d make me feel but suffice it to say I’m not enthused by the prospect of all partnerships. And not everyone should want to team up with me. I’ve read thought leadership pieces that in theory I agree with, about how collaborate comes before compete in the dictionary etc. etc. and how small enterprises especially should embrace a “stronger together” or “rising tide lifts all boats” mentality. However, they generally focus too much on the principle and less on the practice. Two non-competing companies that supply to the same customers could have widely different outlooks on a sales process. One might take a consultative, long-term approach to relationship building while the other is trying to make a quick buck by offering a cheaper alternative to a reputed supplier, for instance. 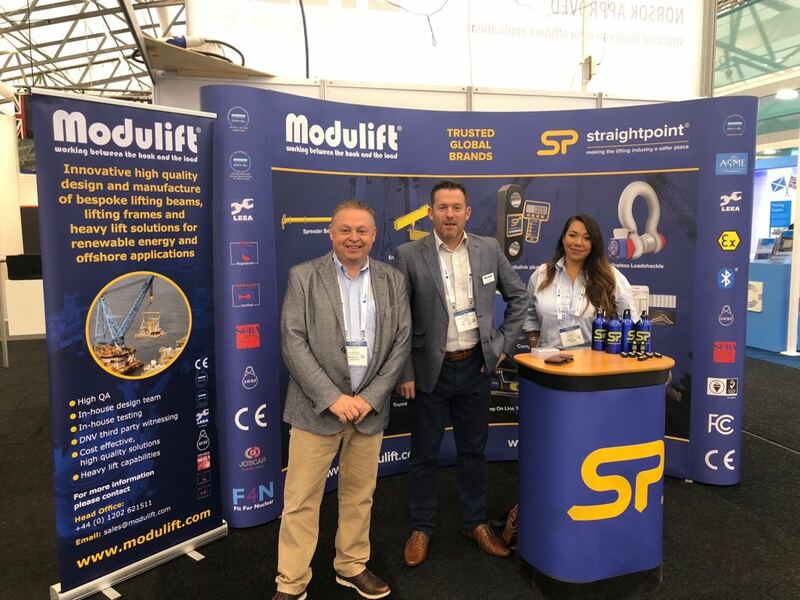 As regular readers of this column and followers of our marketing endeavours will know, Straightpoint (SP) has been collaborating with fellow below-the-hook manufacturer Modulift recently under the “trusted global brands” banner, principally at trade shows and events where we often co-exhibit. We make force measurement equipment and our fellow southern UK-based supplier is a provider of lifting and spreader beams. 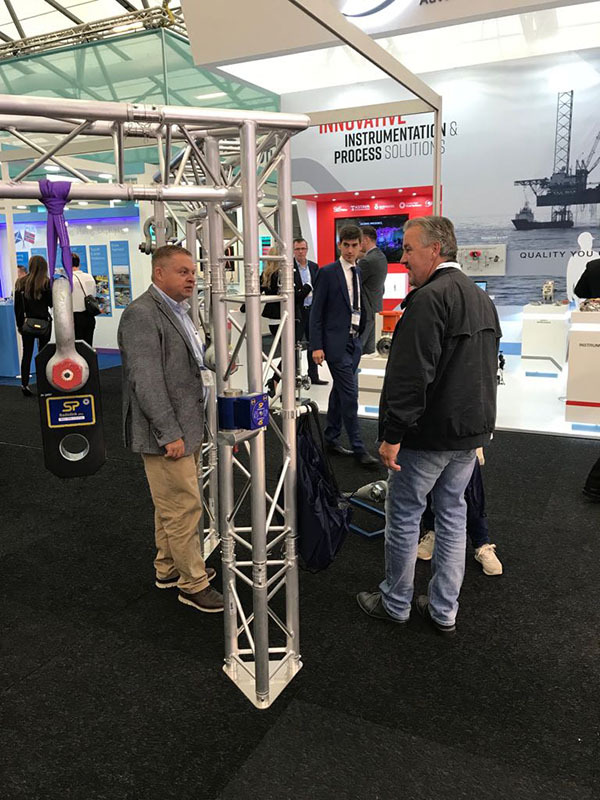 The partnership has been tremendously successful, as most recently seen at the offshore event, ONS, in Stavanger, Norway last month. But the products and coincidental similarities in branding colouration (we’re both all about yellow and blue) are only the tip of the iceberg, and I’d urge anyone thinking of collaborating to tread carefully before making a big commitment. Don’t get sidetracked by the natural appeal of sharing exhibition space and therefore cost. 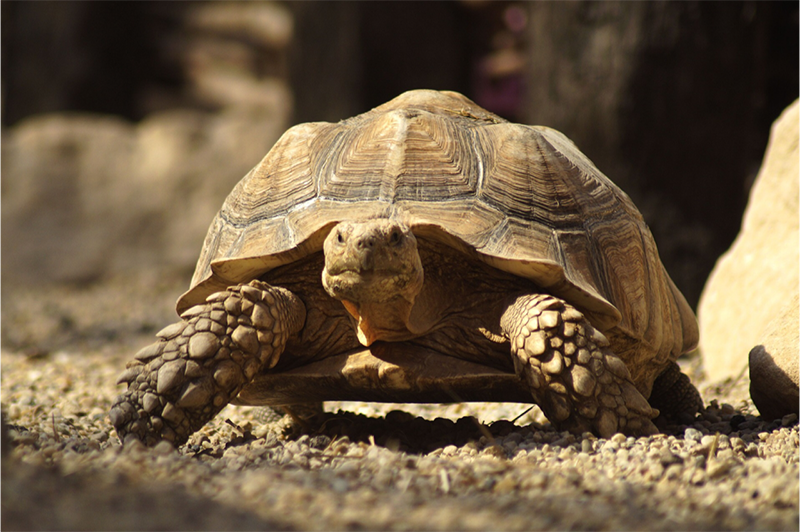 Yes, there are inherent savings to be made but consider how cheap it would be to date a tortoise. We don’t look at the partnership as a cost-cutting exercise but readily accept that it helps us budget to attend a greater number of shows throughout the year. Getting into bed with the wrong company just to save some cash could result in much more costly damage to both parties. This article isn’t about collaborative trade show etiquette but salespeople can’t be elbowing their counterparts out the way to get first dibs at a visitor. There has to be an equal appreciation of both companies’ equipment. What would a rigger do with two load cells and no spreader beam or vice versa? It makes selecting a stand team very important. 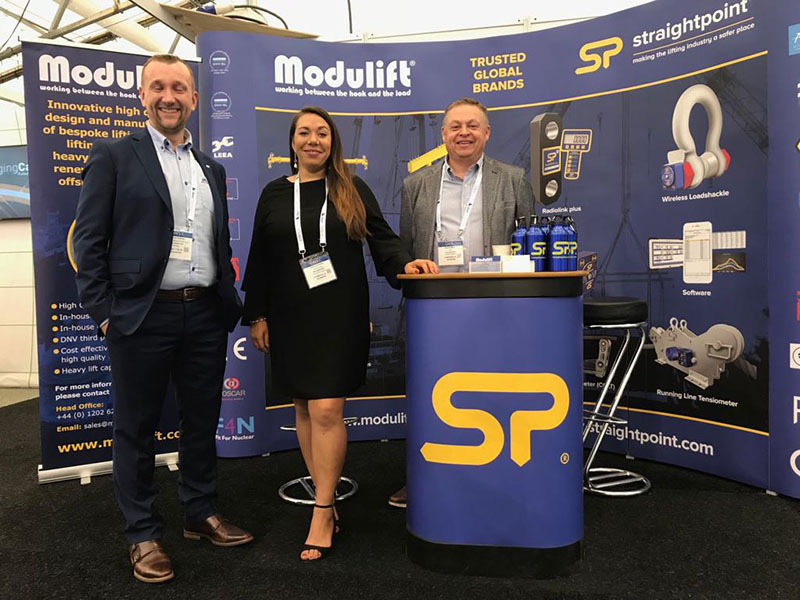 At ONS I was joined by SP’s Kizzie Cordwell, inside sales, while John Baker, sales director at Modulift, completed the lineup. When John looked at me on the flight home and said, “That worked,” I knew exactly what he meant. Consider how the marketplace will respond too. There’s a good chance parties will be quizzed about ownership of the companies. We have no problem responding to questions about being part of the same organisation (we’re not, by the way). Further, it gives us a chance to respond and explain what each product does and why it makes sense to present the solutions alongside each other. Visitors, particularly at end user events, welcome the concept as they can piece together a below-the-hook scenario and envisage it at the coalface (or oil rig) of their industry. Ok, so here’s how we spread the load and that’s how we measure it, one might say. Trusted global brands, yes, but we can only be as good as a trade show allows and ONS, which takes place every second year, provided a great platform. For background, when oil and gas was discovered in the North Sea, the need for a meeting place for the companies in this new industry emerged. ONS was held for the first time in 1974, and has more than 40 years of proud history. It is a non-profit foundation, and was established by Stavanger City Council, Statoil, Stavanger Forum, and the Norwegian Petroleum Society. I’d recommend the 2020 event, whether one is in collaboration or not. It was a multifaceted show and one of my favourite features was the festival area, open nightly, featuring a social network arena, after-party, and cultural events. Located in Stavanger’s harbour in the city centre, it provided a great opportunity to unwind after the show, network, and debrief. The importance of such activity is often overlooked. Sometimes John, Kizzie, and I chinked glasses together and toasted another productive day, and on other occasions we were all engaged in our own business and personal conversations with connections old and new. It was all the fun of the fair—and kind of like speed dating. Of course, any collaboration is on a learning curve and we’re already discussing ways to make the partnership even more fruitful in 2019. We’re looking at how we can consolidate shipments of product, for example, and we’ve agreed that not every show we’ve done has been a great fit for either of us. We’re also striving to make our stand build-up and teardown operations even smoother and more efficient. Naturally, we’ll also learn more and more about each other’s products and we’re excited about each of us unveiling future innovations. I’m not going to harp on about work-life balance again but the importance of it was demonstrated last week when we held our annual staff trip to Goodwood Racecourse. It was great to see the team out of the office, workshop, and trade show environment, placing some bets (for those who wanted to gamble) and enjoying each other’s company. We rounded off a great day in a local bar dancing away at a 70s disco. I Will Survive had a whole new meaning by the end of the night! I hear Modulift’s summer party was held on the same day, which was somewhat fitting. I hope John and the team there had an equally enjoyable occasion. Finally, I want to conclude by offering my congratulations to David Mullard, our business development manager, and his wife, Kat, who were married at the weekend. It was a magical occasion, fitting for a great couple. I wish the new Mr. and Mrs. Mullard a long and happy marriage. Carl Stahl’s Rune Lid Hillesøy was among visitors to our ONS exhibit.